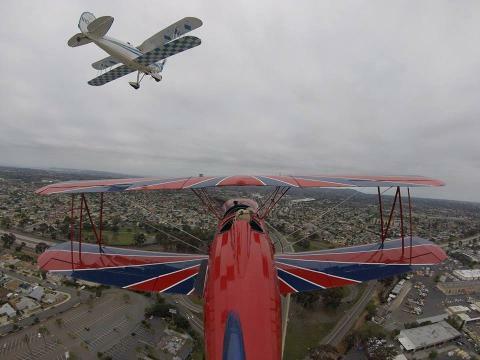 Biplane formation flight. Wow. Yes, Top Gun WOW. Both persons fly this adventure for the set price. 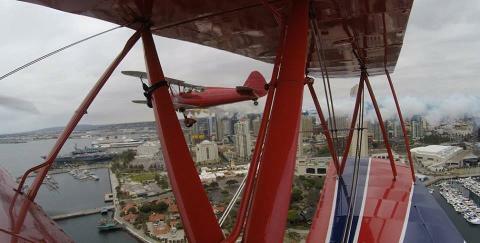 We are the only FAA approved company to offer Biplane Formation Rides together but separate! 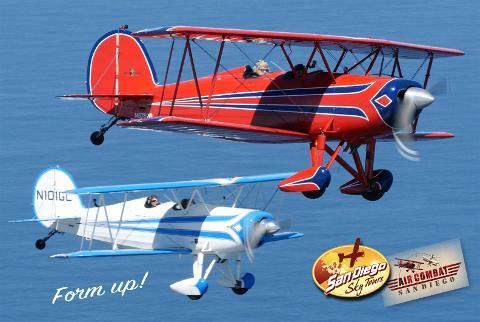 Enjoy a sporty yet smooth flying biplane with perfectly refined modern engines. Our Formation Adventure consists of a Formation Takeoff, Parade Formation, Cross Under's, Lead Change and some Tail Chase. 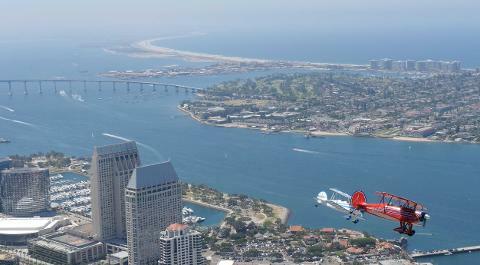 Imagine flying with your special someone in over Downtown, looking and talking to each other just as the fighter pilots did in the golden age. 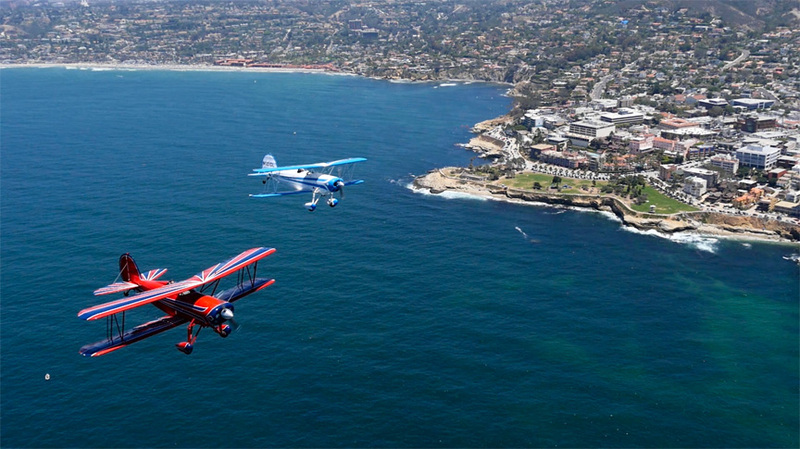 Fly as Charles Lindbergh and Glenn Curtis once did over San Diego. 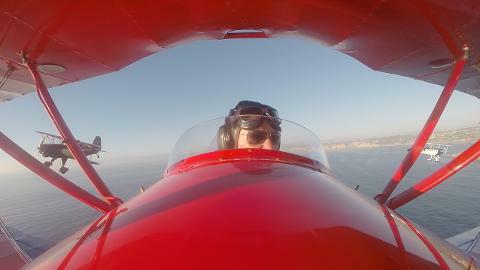 Two separate biplanes and you can talk together on a common frequency, easily see each other through your goggles, and have the adventure of your life. The aircraft will be at a safe distance at all times with your military trained pilot. Feel comfortable flying with the nations best pilots and enjoy this unique adventure together.